Stiper therapy is almost unheard of outside of Spanish speaking countries as it has only just recently been translated. Stipers balance energy quickly and effectively - treating chronic pain, depression, stress, worry, insomnia, fibromyalgia, eating disorders, weight loss, water retention, menstrual problems and migraines for example. Stipers are easy to use, you can just place them on painful points or areas, as well as in an intuitive way, as you are working with a special quartz. When applied to a painful area it will work two levels, physical and energetic. • Physical action: Giving more blood, oxygen and nutrients, so if the area is better oxygenated and nourished, it will be regenerated and therefore it confers an anti-inflammatory action. • Energetic action: the properties of quartz and silicon are well known so placed in an unbalanced energetic area,they will be balanced and regulated. Stipers are bio-resonators of external Qi and can be used successfully to replace needles in acupuncture, making the benefits of an acupuncture treatment accessible for babies, children and anyone with a fear of needles. The stiper’s action is ongoing – it gives a permanent stimulation of an acupuncture point so it is like having an ongoing acupuncture treatment. Stiper therapy can be applied as a single therapy or as a supportive therapy for counselling, reflexology, Reiki, massage, osteopathy, Acupuncture etc. One of the basic properties of quartz crystals is their intelligent regulation of our energy: energy is dispersed when excessive and raised when deficient. Furthermore, alchemy considers silicon to be a stimulant and a spiritual cleanser which sharpens intelligence, installs serenity and calms stressful conditions. Therefore, it is no coincidence that we use such an element in healing therapy. When using quartz crystals in healing, we are working with the systems that feed, nurture and repair the cellular levels of the physical body. Quartz crystals exert a powerful effect, correcting patterns of unbalanced energy; a prime causal factor in many slight physical discomforts or disease symptoms. The development of Stiper began in 1996, Pedro Plaja (scientist/acupuncturist) and his wife Milagros Uria (acupuncturist specialising in children and babies) started to investigate. 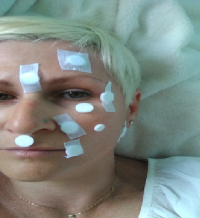 They focussed on methods to make an effective non-invasive acupuncture, which led to experiment with acupressure, seeds, magnets, suction cups and small balls of clay, music therapy, and chromotherapy and with gems and quartz. It took 7 years to achieve an absorbent and spongy quartz, which we have called STIPER. We have been treating with this technique successfully now for the last ten years in Spain there are over 800 qualified Therapists and many using stipers combines with their therapy. Stiper has no known side effects as it has the properties of Crystal Quartz, including having memory just like water, it can be programmed with information by intention, Reiki, Bach flower essences or Homeopathy. For this reason, trained professionals can use them in combination with diverse therapies. The certified online Stiper Therapy course teaching acupuncture protocols and products are available to purchase at www.stipertherapy.com special offer 10% off with this code NaturalTherapyForAll Valid until 21/5/217.